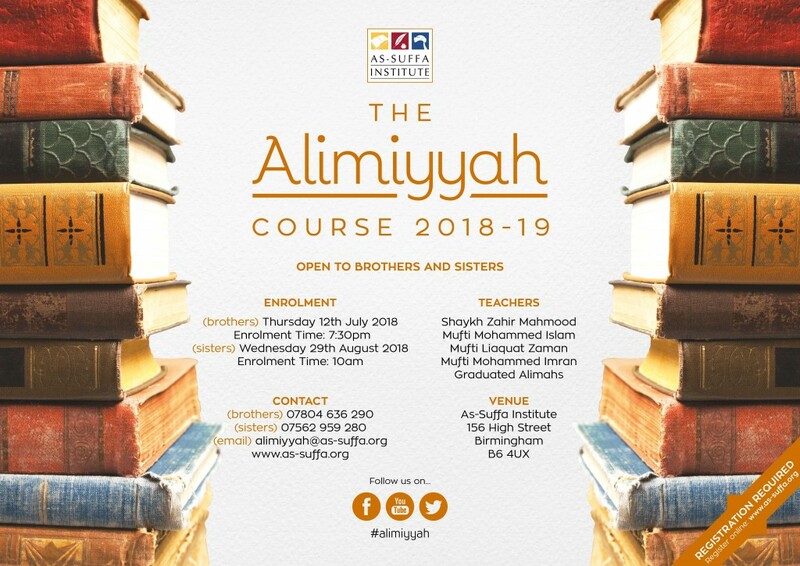 Taught by: Shaykh Zahir Mahmood, Mufti Liaquat Zaman, Mufti Mohammed Imran, Mufti Mohammed Islam and graduated Alimahs. All Muslims with a desire to learn what Allah wants from them in order to help them draw closer to Him by implementing their learning. All Muslims who have a desire to elevate the name of Allah in their community and beyond, which can only be achieved if they themselves know the Deen first. All Muslims who have the desire to identify the truth by themselves in face of so many different viewpoints and ideologies so they are able to recognise the true pathfrom amongst the false paths. For those Muslims who have an earnest desire to be able to read and understand the words of Allah and His messenger sallallahualaihiwaslaam in the original language of revelation without an intervening medium. The ability to understand the science behind the ahadeeth and fiqh, andthe context behind Quranic verses and ahadeeth in order to fulfil the right of the passage so it is applied in its proper context and not misinterpreted. Companionship of those who strive hard to implement the teachings of the Quran and Sunnah and benefit from them directly. Motivation to implement and spread the deen of Allah in your life and closeness to Allah as a result. A recognition that this is an amaanah (a trust) and therefore an attitude to fulfil this amanaah properly is essential, thus you will uphold a good record of attendance and punctuality, good mannerisms and respect throughout your studies. Sisters have group study sessions daily from 14:00 to 16:00, therefore the madrassa day finishes at 16:00. Exceptions can only be made for mothers, please contact us for more information.